The netting is what keeps your kids safe from falling out of the trampoline. We understand how important the safety of your child is, this is why we've gone to great measures to ensure our netting system is one of the safest in the market. 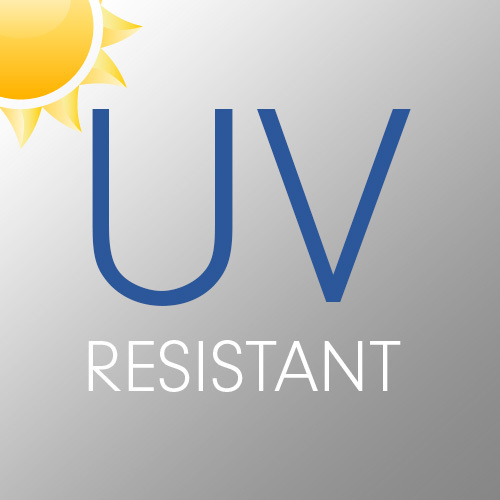 Australia experiences some of the highest levels of UV in the world, being a crucial component to safety we have used only high quality and durable materials. 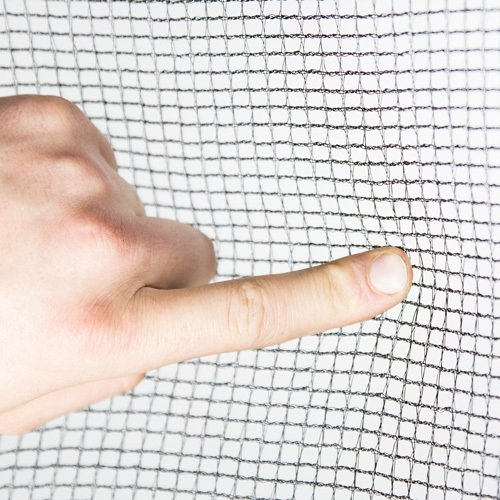 Our netting system has been tested and proven over many years against impacts and the harsh outdoor environment. 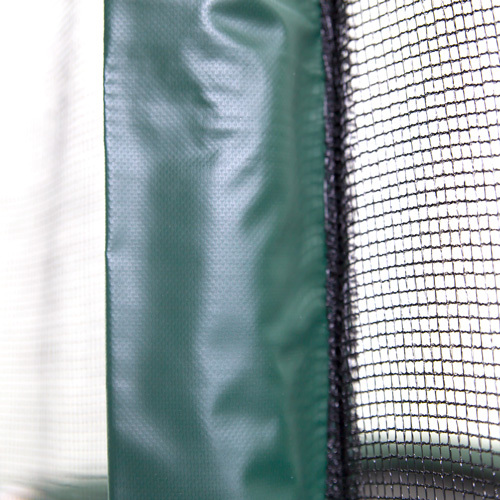 Just like our padding, we use a very durable green PVC material that is directly sewn to the netting which allows it to securely attach to the net poles. This system has proven to be one of the strongest around. There are many other branded netting systems that leave the foam that surrounds the net pole exposed to the sun, this causes rapid deterioration of the foam. Our PVC sleeves completely cover them and protect the foam for long life. The heavy duty zips on all our nets are triple stitched and reinforced with UV stabilised material to ensure high strength and long life. Some other branded trampoline entrances have a restrictive opening, our entrance has two zips (one vertical and another horizontal) this allows easy access for all body sizes. All of our nets are made from an incredibly strong polypropylene material. 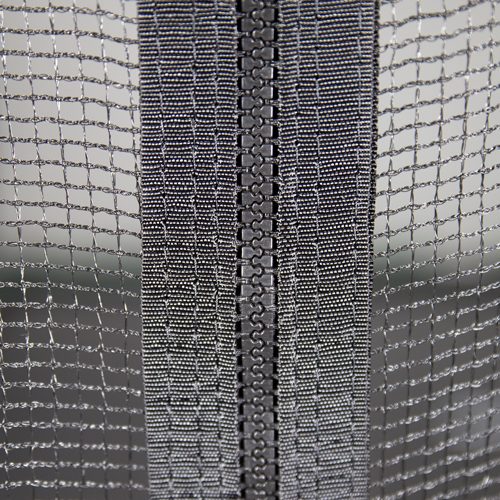 The stands are individually woven into a non-laddering weave that ensures the net is very resistant to tearing and has an anti-graze finish. To ensure that fingers and toes are safe, the holes are smaller than a young child's pinky finger.